What is better than telling Dad “You are the best!” with a Fair Trade gift he will really love? Nothing!! Award winning Fair Trade Vodka from FAIR. will make Dad’s favorite cocktails come to life. Made using Fair Trade quinoa from Bolivian farms. Buy it online, or find a distributor near you. $33 per bottle. You know he needs them, and he won’t shop for them himself. So hook him up with some sweet socks! Maggie’s provides a wide variety of Fair Trade certified socks, from dress to sport, that are perfect for any kind of Dad. Starting at $8 – easy to order on-line. Made from recycled truck tire tubes, the ReStyle travel kit looks great and is super tough to take any punishment that travel (or your Dad) can dish out. Roomy enough to bring everything on the road, with interior pockets and straps to hold them in place. He will love it. $39.98 – available on-line or in stores. Fair Trade coffee, chocolate, tea and chocolate covered coffee beans? In one basket? This is almost too easy. $64.75 from the Fair Trade Coffee Company. 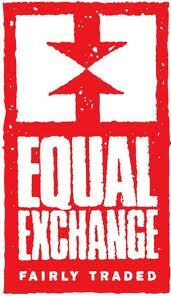 Fair Trade pioneers Equal Exchange have a delicious EVOO that will enhance any dish and tastes fabulous on it’s own. Whether he is manning the grill or you are cooking him a Father’s Day meal this is a great call. And at only $10.98 for a 500ml bottle it is a great deal too! We hope you have a wonderful Father’s Day! 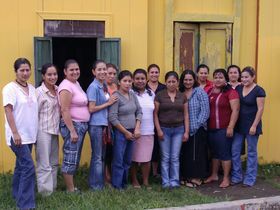 These women formed Arte Comasagua, an artisan group in El Salvador that we are proud to work with. Poverty and gender inequality are main factors which cause women worldwide to lack employment opportunities and to struggle to support themselves without the aid of men. Engaging in trade can be especially difficult because in many societies it is considered inappropriate for women to take part in this type of work. 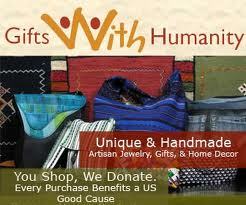 Fair Trade promotes gender equality through imparting equal wages and providing women with economic opportunities. It also encourages women to take on leadership positions and to fully participate in discussion and decision making about business practices. Fair Trade gives women the chance to provide for themselves and their families, which strengthens their position in society and gives them the resources and skills needed to take control of their lives and futures. Below are examples from around the world of women who have been empowered by Fair Trade and were able to create a better life for themselves. Fair Trade USA featured a story on Hinga Kawa, a Women’s Association, which is part of the Abakunda Kawa cooperative and is comprised of a group of women who joined together as a community to sell their coffee. Many of these women are widows or orphans due to the genocide in their country, so they hold many responsibilities at home as well as at work in the coffee fields. By forming Hinga Kawa, these women are able to take pride in selling coffee that they have grown and also have a supportive network of women who share their hardships. Although Fair Trade has not made these women rich, it has provided them with an income that will allow them to send their children to school and still be able to feed them. The story of one woman, Donha Conceção, also featured by Fair Trade USA exemplifies the major, life changing impact that Fair Trade can have on struggling women worldwide. When Donha Conceção was widowed with five children to care for, she was left with only the knowledge of coffee farming as means of survival. After a period of extremely difficult times, she decided to join the Fair Trade Certified coffee cooperative, Coocafé, where she learned to farm more sustainably. Through their aid she was able to increase the quality and price of her coffee. The resulting success of her coffee business enabled her to provide for her family and send all of her children to school. She became the first woman to be elected to Coocafé’s board. The World Fair Trade Organization conducted research on the role of women in the market and what benefits they receive from group membership and Fair Trade. They looked the Artisans Association, ACP (Association for Craft Producers) and WIEGO (Women in Informal Employment: Globalizing and Organizing), which are Fair Trade working projects for impoverished women in India and Nepal. The women involved were able to earn their own income in a society where women face many restrictions such as the inability to receive higher education and a lack of resources or employment options. They reported that the rare opportunity they were given allowed them to become skilled, capable craftswomen in a safe environment. Also, the contribution they made to their household income changed their husband’s attitudes towards them, causing them to be treated with with more respect and to be given more authority. In numerous other countries around the world women are benefiting from the increase in Fair Trade initiatives. What could be better motivation to support Fair Trade than to know that your purchases are ethical and are contributing to the ability of women worldwide to take control of their lives. Barrow, Katie. 2010. Women, Coffee & Hope: Fair Trade is Blossoming in the Hills of Rwanda. Fair Trade USA. FairtradeUSA. 2010. Grandmother, Coffee Farmer, Leader: Meet Donha Conceção. Jones, Elaine. 2012. 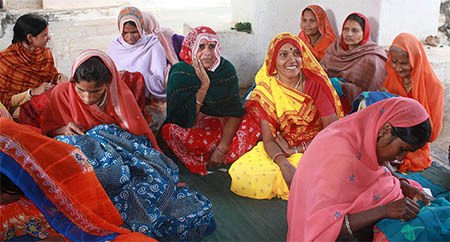 Women’s Economic Empowerment Through Fair Trade: Case Studies from India and Nepal. World Fair Trade Organization. Photo: “Women Coffee farmers in Rwanda” from Fair Trade USA. 56 Million Pounds of Tagua Exported in 1929 – Can Tagua Rise Again? Tagua, also known as Vegetable Ivory, is the seed found within the pod of an Ivory Nut Palm. We use tagua in many of our Fair Trade products but few people know about the fascinating history of this important rainforest seed. Up until World War II, tagua was a widely used material and was exported from South America on a massive scale. In the early part of the 19th century approximately $5,000,000.00 worth of tagua seeds were exported annually from South America. The major producing countries were Ecuador and Colombia; Ecuador reached a peak in 1929 when it exported 56,861,236 pounds of tagua. Throughout the 1920s, 20% of all buttons produced in the US were made from this material. However, with the introduction of plastic, and other cheaper synthetic alternatives, the popularity of this unique natural material drastically declined. Tagua has exceptional carvability, which is where it’s nickname, Vegetable Ivory stems from. This quality makes it the perfect material to create jewelry from. The tagua seed is removed from it’s pod, stripped from its outer shell and polished. Depending on the desired look, the hull is either completely removed or only partially in order to create a striped “zebra” look. 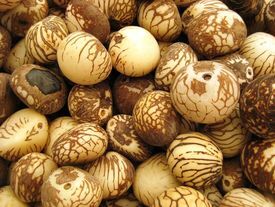 There is no harm done to the rainforest during the harvesting of tagua because these seeds are collected after they have fallen to the ground. In fact, the collection of tagua helps to provide incentive to local forest inhabitants to keep the rainforest intact. At Hope for Women, we use two different types of tagua seeds from Colombia. Chicon tagua grows in the upper montane rainforests in the Narino Department of Colombia and is collected by Awa Indians who are indigenous to the region. Coastal tagua, which is bigger than chicon, grows in the Pacific coastal rainforests of southwestern Colombia and is collected by Afro-Colombians. The collection of these seeds provides great opportunity and much needed income to both groups who harvest them, helping to improve their lives. Go Fair Trade for 2013! 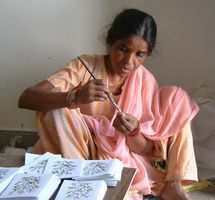 A Hope For Women artisan from India who helps to create our beautiful handmade cards. 3. Drink Fair Trade Coffee An alternative goal to reducing your coffee consumption could be to instead commit to buying it responsibly by finding Fair Trade certified options. This allows you to support coffee farmers and eco-friendly farming methods while continuing to satiate your caffeine addiction. 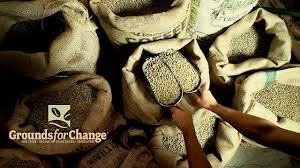 Grounds for Change for example is a certified organic coffee roaster, which specializes in 100% Fair Trade coffee and also sells Fair Trade organic tea, hot chocolate and chocolate bars. http://www.groundsforchange.com/index.php?